One word to sum up Chanel’s Fall/Winter 2017 show? Otherworldly. Inspired by all things intergalactic, it was a stunning, space-themed affair that saw silver, metallic, and astronaut prints take off from the runway – spaceship and all. Backstage, Tom Pecheux transformed models into magical creatures with splashes of silver shadow and 60s-inspired floating liner, both perfectly complementing the season’s collection. Go behind the scenes with these images shared exclusively with Savoir Flair, and discover the key products and techniques used to create the futuristic feel at Chanel. This look was all about dewy and glowing skin, with models looking effortlessly beautiful as they walked the runway. To achieve a flawless face yourself, prep your skin with the ‘Hydra Beauty’ eye gel and ‘La Solution 10 de Chanel’ before unifying your skin with the ‘Les Beiges Healthy Glow Foundation’ using Chanel’s ‘Retractable Foundation Brush’. You can also use your fingers for a slightly subtler effect. Cover imperfections and dark circles with the ‘Correcteur Perfection Long Lasting Concealer’, and use the ‘Éclat Lumière’ to brighten the undereye area. Add a hint of flush with a dusting of the powder blush in ‘Elégance’ across the cheekbones, brushing and blending it outwards with the blush brush in ‘N°4’. Start by brushing and setting your brows with the ‘Le Gel Sourcils’ brow gel. You want to add just a little definition to your natural brows and keep them looking full and natural, brushing them upwards. Next, apply a touch of the ‘Multi-Use Illuminating Base’ to prime your eyes (and brighten your peepers) before sweeping the ‘Ombre Première’ eyeshadow in Titane across your lids. This gorgeous, sparkly silver color also helps make your eyes look bigger if you apply it to the inner corners of your eyes. The thing that really sets this look apart is the 60s-esque liner used to define the eye crease. Use the ‘Calligraphie de Chanel’ liner and its angled brush to draw a thin line along your crease, starting just before your nose bone and ending just after your eyes. 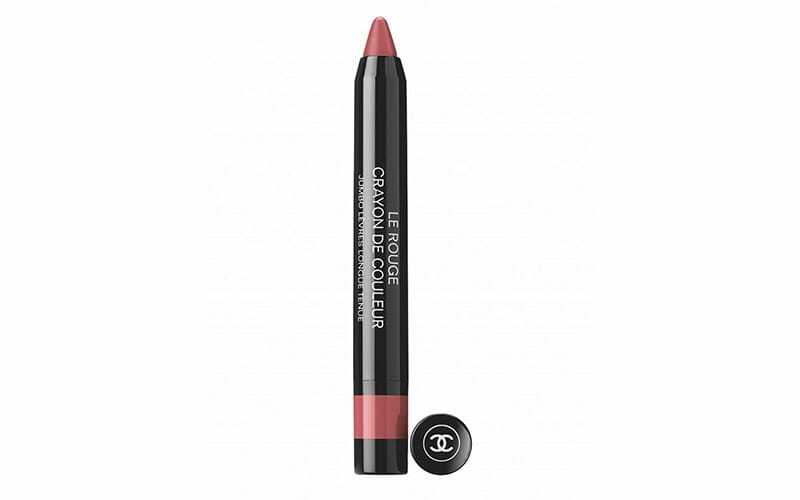 Finish with a slick of ‘Le Volume de Chanel’ mascara in black before applying individual falsies in small clusters to your bottom lash line, creating that “doll eye” effect. Lips were left to look natural with a subtle pop of pink, which was created using the ‘Le Rouge Crayon de Couleur’ in Rose Violine. Now discover the most breathtaking beauty looks from the Paris Fashion Week runways.